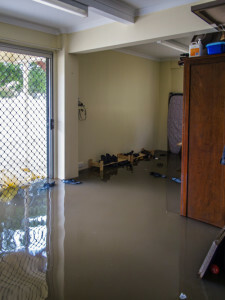 Midwest Flood Restoration, LLC is the foremost source for emergency restoration services. Our services include fresh water cleanup, mold remediation and removal and complete remodeling. We provide service on hundreds of claims each year and are recommended by insurance companies. We can handle all of your mitigation services – from extraction and removal to complete restoration and repairs – from any emergency that may arise, from broken or leaky pipes, sink or toilet overflow, refrigerator, washing machine, water heater or dishwasher malfunction, or flooding from storms. You should expect a fully trained restoration technician at the door who’s ready to begin to work immediately after a thorough inspection of the problem. Our professional staff is working 24/7 to make sure your call is answered by a real person. Give us a call at any time, day or night. With our standardized and proven process, we have helped customers with many different emergency situations. Our attention to detail as well as dedication to dealing with the trouble as promptly as possible guarantees quick results you’ll be happy with. Call Midwest Flood Restoration, LLC immediately at 314-772-1788 after experiencing home or business property loss. Why Choose Midwest Flood Restoration, LLC? No matter the type of emergency, we are ready to answer your call! From small to large scale losses, we have the tools, equipment, training, and knowledge to handle it for you. Call now!